An electrifying exhibition has set its sights on Dandenong this Spring, heading to Australia for the first time having recently toured Europe and China. 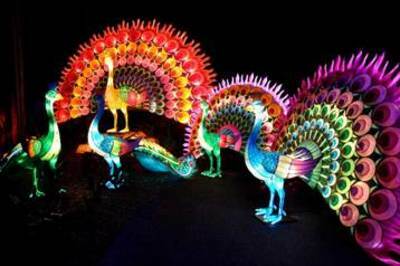 The enthralling family-friendly Chinese Light Spectacular is set to amaze Melburnians at the Dandenong Festival of Lights, opening on 11 September, 2015. The Dandenong Festival of Lights provides a wondrous insight into Chinese culture through a stunning display of 32 brightly lit silk lanterns. The displays, some of which are up to a phenomenal 20m wide and 8m high, come to life in the darkness, in awe-inspiring fluorescent colours. See all kinds of wonderful shapes and forms including Chinese Zodiacs, windmills, elephants, butterflies, dinosaurs, birds and more. To coincide with the impressive light displays, there will be a unique opportunity to experience Chinese performances on stage, including Chinese tea ceremonies and an acrobatics show. 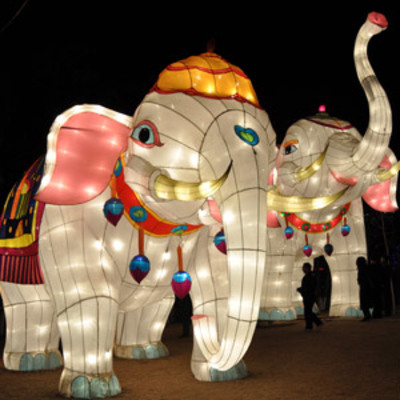 The Dandenong Festival of Lights will begin on 11 September and will run through to 18 October, 2015. The fabulous display will open from 6pm to 10pm each day, held in the Dandenong Showgrounds in Greaves Reserve. In addition to the light displays, there will be unique Chinese performances on stage daily, including Chinese tea ceremonies and acrobatics show. In another fabulous KidTown Melbourne giveaway, one lucky reader will win one family pass to see the magnificent Dandenong Festival of Lights. To enter, simply email us at kidtownmelbourne (@) gmail.com with your details, with the email title FESTIVAL OF LIGHTS. A winner will be contacted via email on Friday 4 September, 2015.